With electricity consumption at an all-time high thanks to the myriad of electric gadgets in use today, finding new ways of cutting down on your electric consumption has never been more important. In Singapore, the country’s scarcity of natural resources does not make things any better. In fact, it is more important for people living in this island nation to cut down on their electricity consumption than anywhere else in the world. 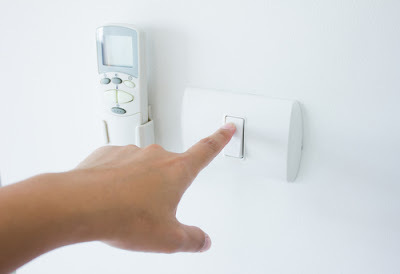 Fortunately, changing certain things about your lifestyle will help you conserve electricity. 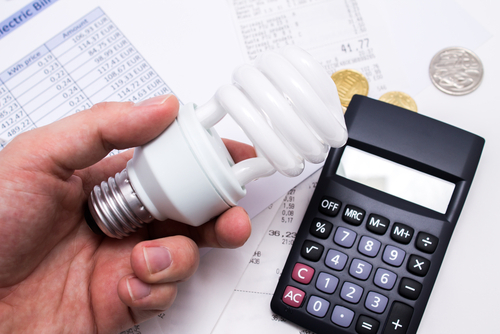 Below are seven smart tips on how you can save electricity and drastically reduce your monthly utility bills. Use LED light bulbs instead of incandescent bulbs. One of the best ways you can reduce your monthly electricity bills is by buying energy efficient lamps. The kind of lamps you use will have a profound impact on the amount of electricity your home uses on a monthly basis. Therefore, to minimize your home’s electricity consumption it is advisable you use light emitting diode or LED bulbs. These bulbs use 85% less electricity than traditional incandescent bulbs. Additionally, LED bulbs have been known to be twenty times more durable than their incandescent counterparts. While Singapore’s hot and humid climate warrants buying an air conditioning system, there are other less costly ways of cooling your home, a good example being using a fan. Since fans do not require electricity to function, they are cost efficient alternatives to using an AC. The best kinds of fans are ceiling fans. These fans are more efficient at cooling a room than standing fans. However, if you must have an air conditioning system, find one that has an energy efficient label. Also, it is recommended you set it at an optimal temperature of 25 degrees Celsius. Alternatively, look for an air conditioning system that has an inverter or a smart mode feature. The latter feature automatically shuts off the AC when it is not in use. On the other hand, an inverter helps an AC maintain a room’s optimal temperature while using less electricity. While no home can be complete without light bulbs or lamps, it is advisable that you lessen your home’s dependence on artificial light sources. To do this use light colored curtains that are loosely woven. These kinds of curtains help maintain your privacy while maximizing the amount of natural sunlight flooding the interior of your home. This makes using light bulbs during the day unnecessary. Also, instead of using light bulbs in your kitchen or study area use task lights. These are lights directed at a specific area and include table lamps. These lamps consume less electricity than normal room bulbs. Thus, task lighting also reduces your home’s dependency on artificial light bulbs. Appliances that are not in use should be plugged out or switched off at the socket. Gadgets and appliances such as TV sets, computers, phone chargers when left plugged in account for 20% of your home’s electricity consumption. Thus, instead of leaving these gadgets on standby mode make sure they are completely disconnected from their wall sockets. Additionally, all sockets should be placed in convenient locations to make it easy for you to turn them off when they are not in use. TVs and computer screens should perpendicular to windows. This minimizes glare that and the need of a higher screen brightness. The brighter your TV screen the more electricity it consumes. Apart from TVs and computers your refrigerator should also be well positioned. There should be space around your refrigerator to ensure efficient ventilation. The cooling efficiency of your refrigerator will depend heavily on the spacing around it. There should be a space 10 cm big above the refrigerator and 5 cm space at the back. This will contribute to your refrigerator using optimal electricity. Contrastingly, if your refrigerator is not well positioned it will have poor ventilation and will consume more electricity. Using certain home appliances frequently can increase your electricity consumption. Some of the appliances that require a lot of electricity include water heaters, ovens and light bulbs. Thus, it is recommended that you take shorter showers and use the oven only when it is necessary. Also, if taking shorter showers is not an appealing option turn down your water heater thermostat. The recommended temperature is 55 degrees Celsius and 65 degrees Celsius. Instead of using the oven try using a microwave or a toaster. The latter two will take less time to heat foods and do not increase the temperature of your home. This is unlike an oven that can increase the temperature of your kitchen leading to more electricity being required for cooling. The vents of your air conditioning system will have a big impact on how it functions. If the vents are clogged or are not clean your AC will struggle to keep your home cool. This struggle translates to increased electricity consumption. Therefore, another way you can minimize your electricity consumption is by making sure the vents of your AC are clean. Also, the filters in your AC’s vents should be replaced regularly to ensure there is an ideal airflow in your home. An ideal airflow helps reduce your AC’s electricity consumption. Thus, your AC should be well maintained if you are cut down on your home’s electricity consumption. Contrary to popular belief closing your AC's vents does not contribute to the saving of electricity. In fact, closing the vents increases your AC's electricity consumption.